Unless you’ve been disconnected for a few weeks, you’re aware that all of Vancouver Island is under a Level 4 drought rating in response to the extremely dry conditions we’re seeing this year. This means that our water supply is insufficient to meet our needs this summer, and we have to be diligent in restricting our water usage so we don’t make the situation worse. According to Living Water Smart, British Columbians use about 350 litres of water per person per day! Fresh water is an important commodity in our society, and we should protect it even when we’re not experiencing a drought. 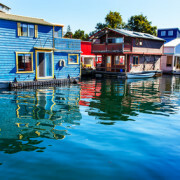 There are several ways that we can conserve water, from reducing the water you use to reusing the waste water (or gray water) your home produces. Are you pouring money down the drain? 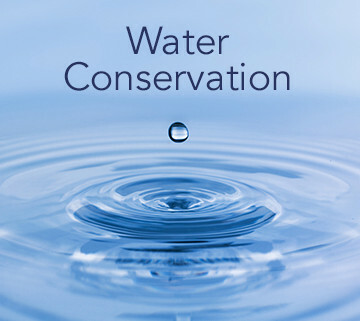 Inside your home, there are several measures you can take to conserve your family’s water use. In the bathroom, you can replace your toilet with a low-flow or dual flush model, as well as reducing the number of times you flush. Many municipalities in BC offer a toilet rebate program – check with your municipal government to see if this is available. If you can’t replace your toilet, there are some DIY options for a water displacement system, reducing the amount of water your toilet uses. Other tips include turning the taps off when brushing your teeth, or catching excess water from your shower. Outside, it’s even easier to conserve water, since garden watering is the biggest use of water in the average home. Most importantly, make sure you’re aware of your municipality’s current watering restrictions and adhere to them. Currently, the City of Nanaimo is on Level 2, whereas the Regional District of Nanaimo is on Level 4. Most plants will thrive on less water than you think. Know your landscape – water only when necessary. Using a rain barrel system in your yard can help you to collect some of the rain our region gets, instead of using the tap. 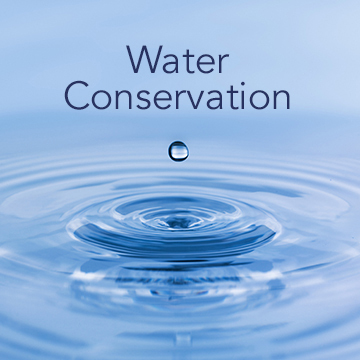 Living Water Smart offers many easy actions you can do to conserve water at home. Gray water, the waste water produced by bathroom sinks, baths/showers, and washing machines, can be saved and used to water some plants indoors and out. It is water that isn’t clean and fresh, therefore unsuitable for drinking and using in cooking, but not black water produced by toilets, dishwashers, and kitchen drains that’s unsuitable for reuse. Save this water by putting a bucket in the tub when you’re showering to collect unused water, or reserve the water used to boil noodles. There are lots of ideas on the Don’t Waste the Crumbs blog, and more on related website. Looking for more ideas on how to conserve water during a drought or anytime of year? 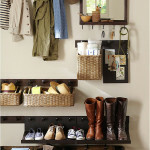 Check out our Eco-Friendly Options Pinterest Board! More water conservation tips here. Follow HomeShow Time’s board Eco-Friendly Options on Pinterest.